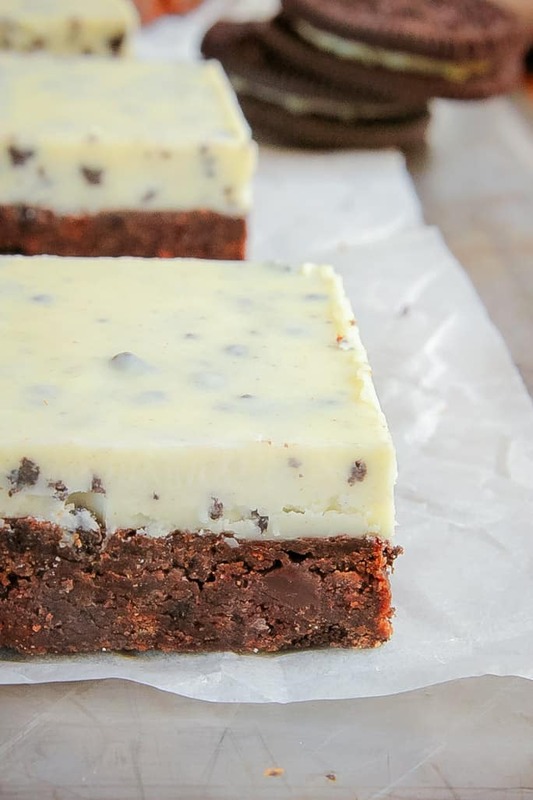 A delicious Cookies & Cream Slice… a chocolate base topped with cookies and cream chocolate. The perfect chocoholics treat! Yippeee…. today is a good day. A very good day, in fact!! 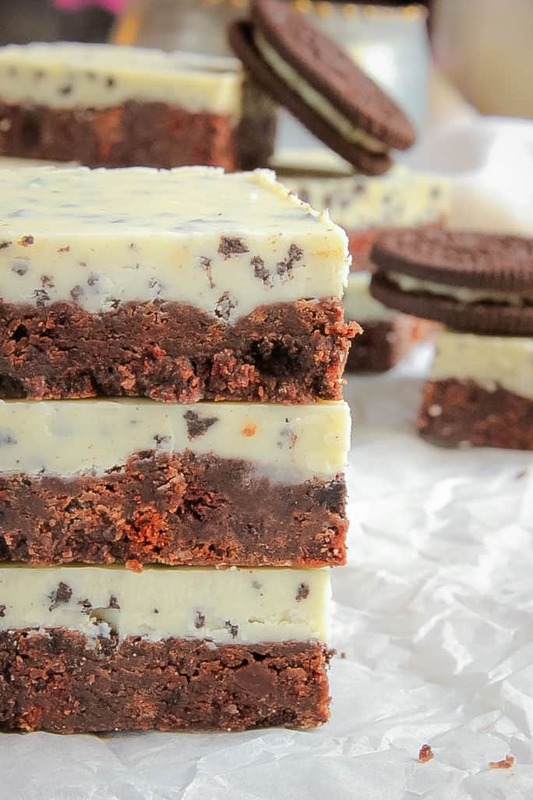 And that is because of one super delicious reason – this Cookies & Cream Slice. 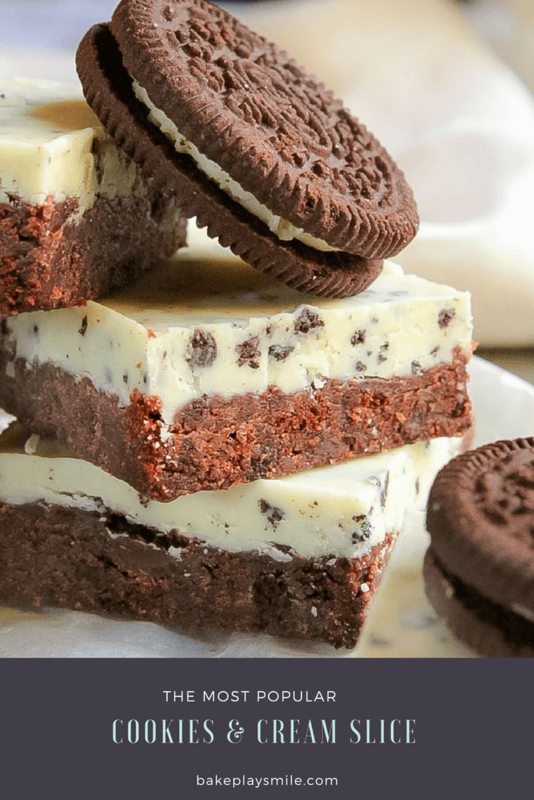 Imagine a crunchy chocolate base made with crushed chocolate biscuits, Oreos, butter and condensed milk – and then topped with a sweet and creamy chocolate layer. Holy yum!!! Ooh and the best thing of all about this slice (apart from the fact that it’s totally yummy and addictive!) is that it’s also no-bake. Yep, forget about turning on the oven… this baby is just a matter of melting, mixing and popping in the fridge to chill. 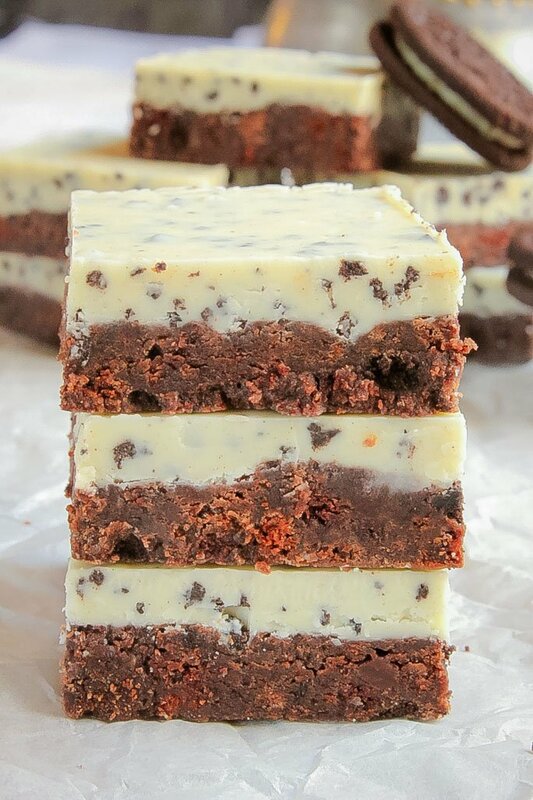 Speaking of no-bake slices, I’ve got ‘just a little ‘bit’ of an obsession going on with them. 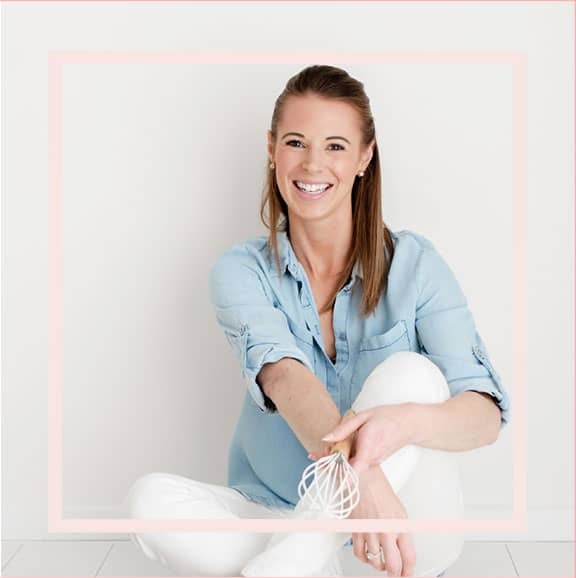 If you’re after some super easy slice inspiration, check out my collections here and here. Anyway, that’s more than enough of my blabbering on today! 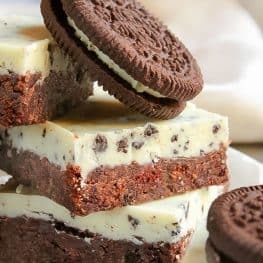 I hope you enjoy this Cookies & Cream Slice as much as I do! 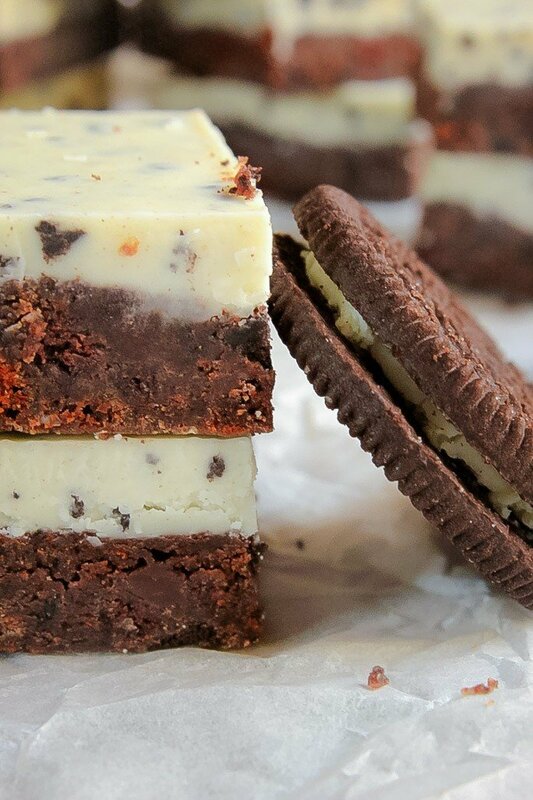 A delicious Cookies & Cream Slice... a chocolate base topped with cookies and cream chocolate. The perfect chocoholics treat! Grease and line a 22 X 28cm rectangular slice tin with baking paper and set aside. 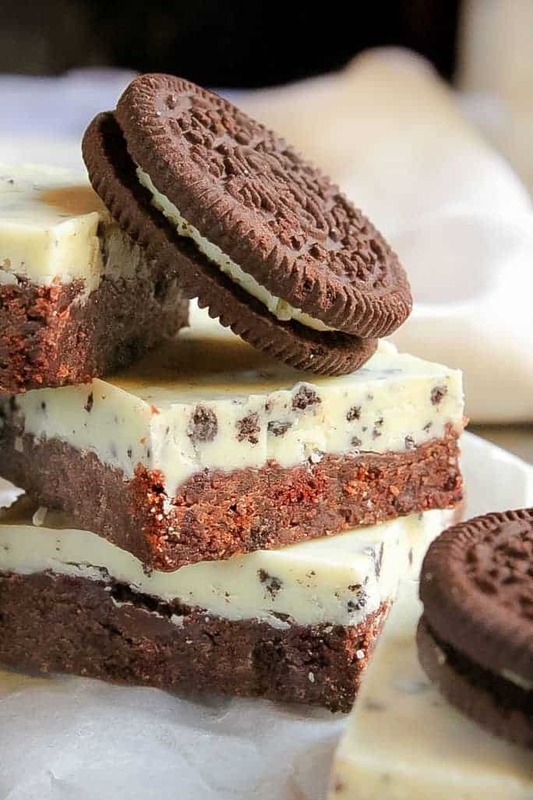 Crush the chocolate biscuits and Oreos until they resemble fine crumbs. Add the condensed milk and melted butter to the crushed biscuits and mix well to combine. If your mixture is too crumbly, add a little more condensed milk. Press the mixture firmly into the prepared tin and place into the fridge. 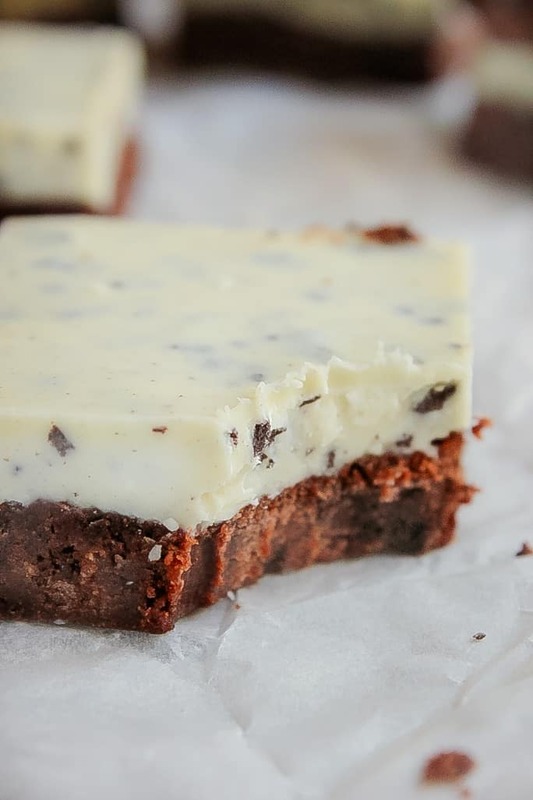 Break the Cookies & Cream chocolate into pieces and place into a microwave-safe bowl. Add the coconut oil and melt in the microwave on 50% power for 3-4 minutes (stirring every 30 seconds), until just melted. Pour the melted chocolate over the chocolate base and place back into the fridge for 3-4 hours to set. Cut into slices using a hot knife and store for up to 1 week in an airtight container in the fridge. Place the butter into the Thermomix bowl and melt on 80 degrees, Speed 2, 2 minutes (or until melted). Add the chocolate biscuits and Oreo cookies to the Thermomix bowl and blitz on Speed 8, 5 seconds. Scrape down the sides of the bowl and repeat for a further 5 seconds. Add the condensed milk and mix on Reverse, Speed 4, 15 seconds, or until well combined. If the mixture is too crumbly, add a little more condensed milk and mix on Reverse, Speed 4, 10 seconds. Break the Cookies & Cream chocolate into pieces and place into a clean and dry Thermomix bowl. Add the coconut oil and melt on 50 degrees, Speed 2, 3-4 minutes (or until melted and smooth). Can the coconut oil be substituted for something else, or is this a main part of the flavour? I dont keep any in my cupboard usually, but can whizz to the shops if its a must!